Dr. Cottam grew up in Houston, Texas. He left Texas to complete his undergraduate studies at Brigham Young University. Afterwards, he returned to Texas to attend medical school at the University of Texas. His residency was completed at Nassau University Medical Center in Long Island, New York. While at the Nassau University Medical Center, Dr. Cottam developed an interest in bariatric surgery. After leaving his residency, Dr. Cottam completed a two-year fellowship at the prestigious Mark Ravitch ⁄ Leon C. Hirsch Center for Minimally Invasive Surgery at the University of Pittsburgh. During his time there, he performed hundreds of bariatric surgeries and groundbreaking research on inflammation in obesity, diabetes and bariatric surgery, and the training of bariatric surgeons. He also helped pioneer the sleeve gastrectomy as a weight loss procedure. Dr. Cottam began practicing in Las Vegas, Nevada, where he specialized in bariatric surgery (including gastric bypass and laparoscopic adjustable banding), abdominal wall reconstructions, and complex revisional bariatric surgery. 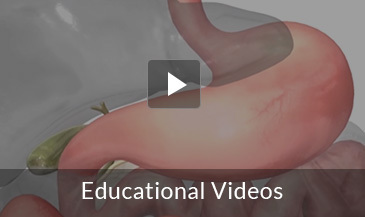 He was one of the first surgeons in the nation to begin doing revisional endoscopic bariatric surgery. While in Las Vegas, he helped teach numerous physicians how to perform bariatric surgery safely and effectively. He also served as a professor of surgery at Touro University Medical Center. Dr. Cottam is the first surgeon in the United States to perform the single anastomosis loop duodenal switch, and along with Mitch Roslin of the Hofstra Northwell School of Medicine, he pioneered this procedure in the United States. This procedure has revolutionized the care of obesity and drastically reduced complication rates. Currently, he serves as a master consultant for Medtronic and teaches, lectures, and proctors surgeons from all over the world. He has taught surgeons from Australia, India, New Zealand, Europe, Duke, the University of Nebraska, and the Cleveland Clinic along with hundreds of others. 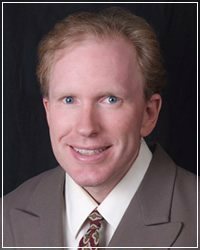 Dr. Cottam has been recognized as a Center of Excellence Surgeon since 2005. He is proud to offer comprehensive medical care to the bariatric population in the intermountain west.